One brownie tin (approx. 24 × 24 cm), lined with baking paper. In a blender, roughly blitz the almonds and all the other ingredients up to and including the lemon zest and juice. Mix in the quinoa pops. Transfer the mixture to the prepared tin, press down. Heat the coconut oil and honey in a small pan while stirring, pour in the lemon juice. Pour the glaze over the mixture in the tin, spread with a spatula. Cover and refrigerate for at least 3 hrs. 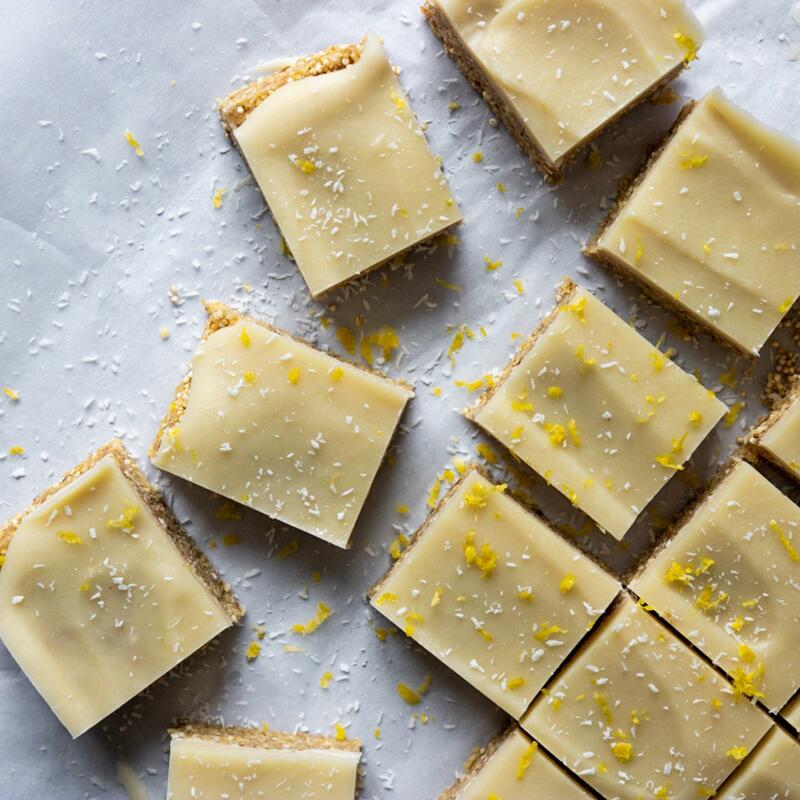 Decorate with lemon zest prior to serving, cut into 16 squares.